At a time when Muslim identity is fraught with tension and suspicions over the world, Rabbya Naseer’s group exhibition Promises to Keep, comes like a breath of fresh air. 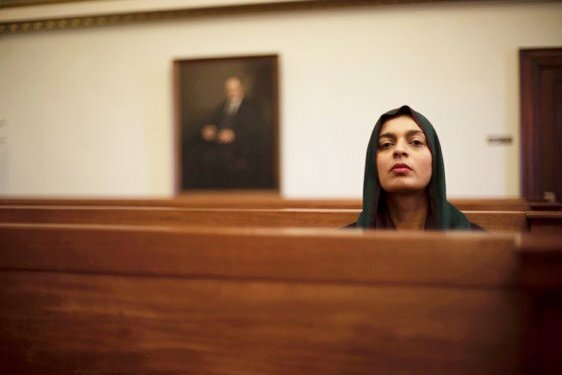 Inspired by her own experiences as a “Pakistani-Muslim-Woman-Artist” during a graduate program at the School of the Art Institute of Chicago–when casual conversations with strangers who would learn about her identity would invariably lead to stereotypical questions regarding Islam, terrorism, and the plight of women in her country–Naseer began to probe different notions and representations of identity by fellow Pakistani artists. 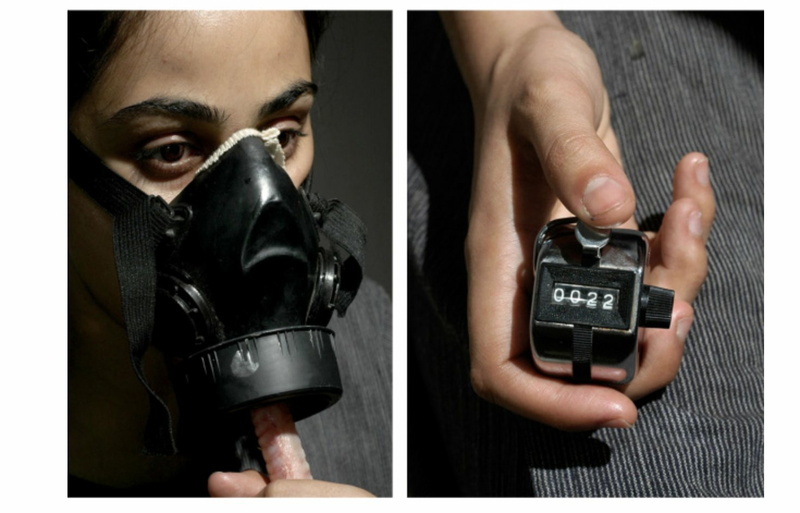 Selected for the apexart open call Unsolicited Exhibitions Program in New York, Naseer’s show comprising of 14 works by 12 women artists uncovers a relatively unknown but vibrant genre of performance art in Pakistan. As one peeks behind the proverbial purdah that conventionally hid Muslim women from sight, we observe what Naseer discovered—that women artists employ performance and humor to investigate subjectivity and manifestations of the self through their own bodies. But what is startlingly refreshing is the way domestic settings and local cultural practices are used to dramatic effect. 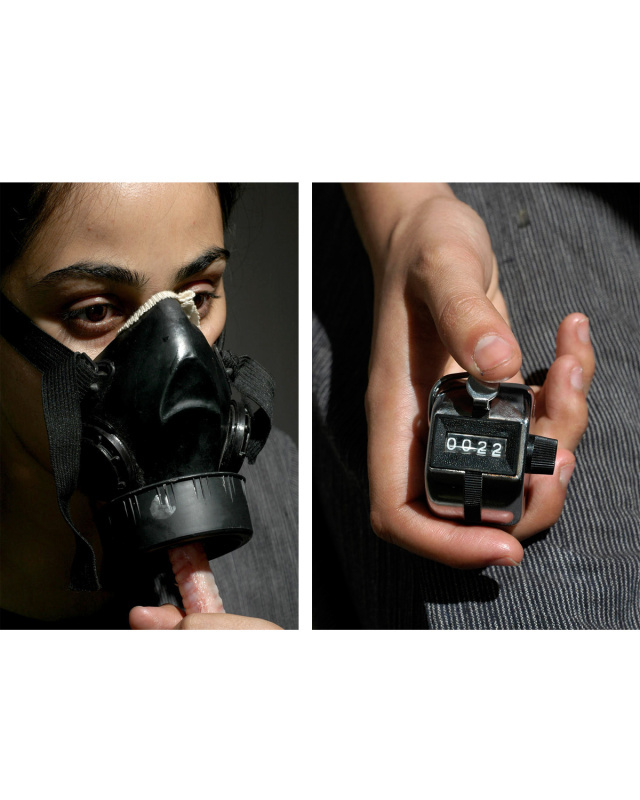 Mehr Javed’s video of her sixteen-minute performance Air Hunger (2008), showcases an excruciatingly painful display of female endurance. In the work, the artist repeatedly inflates a pair of freshly butchered goat’s lungs that are attached via a tube to a mask that covers her mouth and nose. The slow process ends when Javed can no longer breathe, and has to forcefully cut off the tube attached to the animal’s lungs. Javed’s choice of an animal that is regularly consumed in Pakistan, and her temporary sustenance of its exposed pink lungs symbolize her own and other women’s forbearance in her country where women are often dependent and subjugated. Much like the potency of the Chinese artist Zhang Huan’s performative use of a body suit in 2002 (My New York) made of raw meat to convey the strength and anxiety pervasive in New York after the 9/11 attacks, Javed’s act embodies the vulnerability and fortitude of the women she represents. The power of animal imagery continues in Hurmat ul Ain’s video of her performance Great Sacrifice (2011). Here masculinity is made to appear fragile and delicate through her two-channel video performance of embroidering and cooking a goat’s testicles. Ain intends to subvert the annual commemoration of the Quranic depiction of Abraham’s sacrifice of his son during the Eid festival–when a goat is typically sacrificed–by sewing names on the beast’s testicles, and bringing attention not only to women who toil behind the scenes to cook for these feasts, but also to Abraham’s wife’s maternal feelings for her son which are never taken into account. Through her unnervingly humorous but deeply visceral method of debasing patriarchy, Ain reduces masculinity to a ball of putty in her hands that can be easily manipulated. Again and again, these artists challenge prescribed notions of representation through their self-portraits. 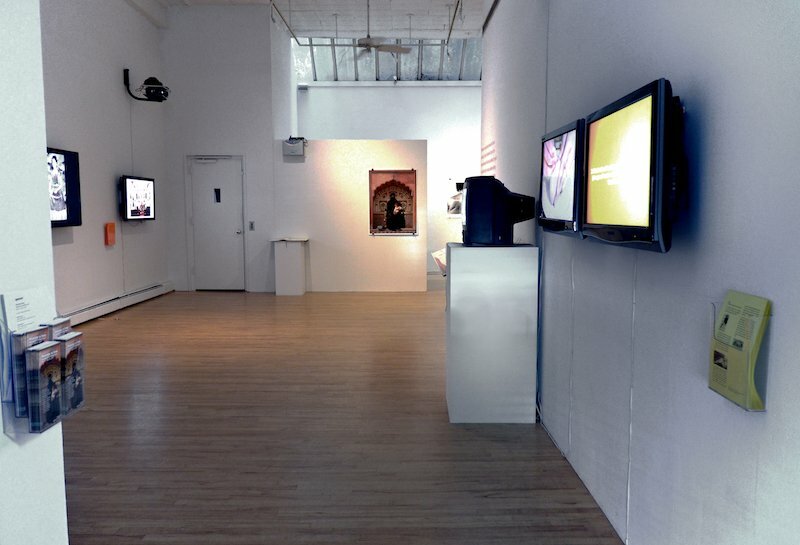 Whether it is Amber Hammad’s Maryam (2006), of the artist photographed as a local burka clad Virgin Mary with child, or quotidian images in Songbirds Flying Home (2017), of Lali Khalid’s independent life in Marquette, Michigan, where she lives, these artists engage in what the feminist scholar Bell Hooks refers to as the “oppositional gaze.” By upending Western expectations of the depiction of submissive Muslim women, Hammad and Khalid undermine power dynamics by taking charge of how they would like to be viewed. For many artists, the use of the twin or doppelganger reinforces their disruption of deep-rooted cultural stereotypes. In Rabbya Naseer and Hurmat ul Ain’s video White as Snow (2008), the two artists dressed similarly like sisters, chant a funny prayer like narrative about their most saleable qualities as young 24-year-olds in the Pakistani marriage market. From phrases like “I am a girl,” to “I cook very delicious carrot pudding,” their incantation not only delineates how women are suppressed in Pakistan, but it also reveals and pokes fun at the absurdity of societal expectations. In Bani Abidi’s video trilogy Mangoes (1999), Anthems (2000), and News (2001), the artist and her doppelganger appear as Indian and Pakistani subjects to undercut the heightened differences played out in the media between the two nationalities. Intimate household scenes depicting two supposedly different women devouring mangoes—which is a huge delicacy in the subcontinent—and both women dancing in the privacy of their bedrooms to local music from their respective countries become highly charged events of competitiveness and one-upmanship regarding the quality of mangoes and music from their countries. By playing both women, Abidi stresses the shared history and commonalities in their identities that supersede their differences created by the partition of the subcontinent in 1947. Yet most importantly, Promises to Keep is an exhibition about how these artists incorporate objects and practices from their daily lives to take on highly complex paradigms, and define new identities of the self. 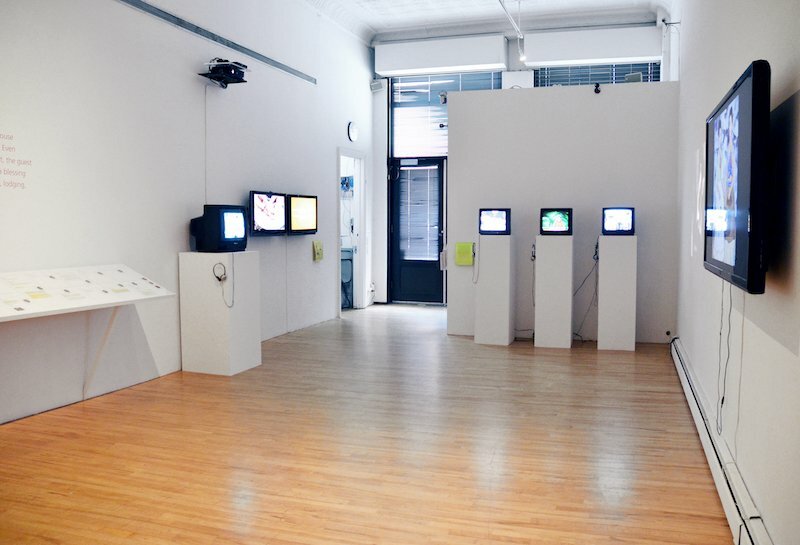 As Naseer points out in her press release, by employing easily “relatable… language of the streets,” the artists in the exhibition solidify their stance and align the viewer’s gaze to observe works of self-empowerment instead of what many artists of color refer to as self-exoticism that buttress stereotypical portrayals of the East.